Yes, Christmas is just 48 hours away, and yes that means that unless you have an in with the big guy in the red suit you’ve probably blown it in terms of getting something shipped to you to give to your loved ones this holiday. But there’s still a couple of great options for holiday gifts you can find locally as long as you get yourself to a liquor store or a book store before they close tomorrow evening. 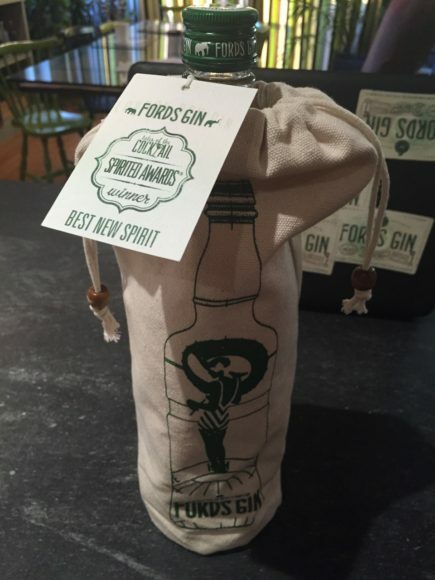 First up (because we know you probably need a drink if you’re still out there looking for Christmas presents), the Ford’s Gin Lewis Bag. It’s snazzy, it’s handy, it’s functional, it’s a great educational gift to give and share your love of gin (and other spirits) with family and friends, AND it can be used over and over and over again for making great cocktails or just getting out some aggression. A Lewis bag…what a smashing gift idea! Next, for the readers (and eaters) in your life: Savoring Gotham: A Food Lover’s Companion to New York City. 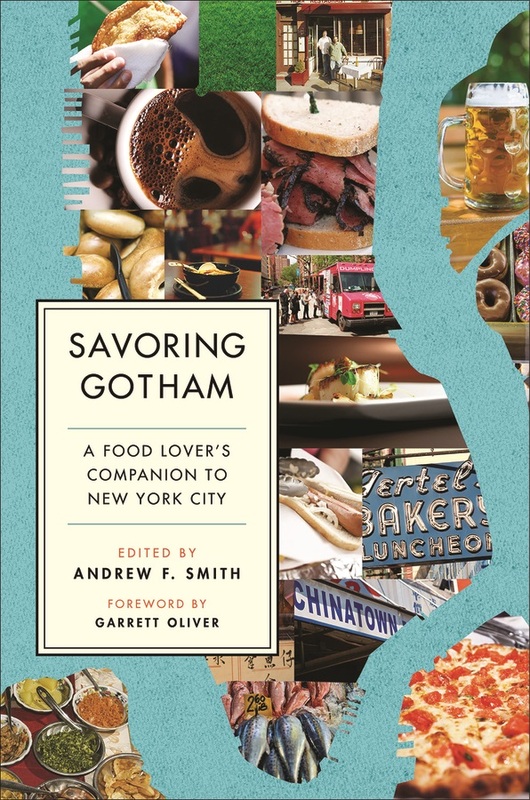 This encyclopedic history of all things food and drink that make NYC the culinary destination that it is, Savoring Gotham came together in 568 entries across 760 pages written by 174 authors (including yours truly). Want to explore the history of restaurants like Delmonico, 21 Club, and Barney Greengrass? Need to delve further into the history of bars and cocktails, charities like Citymeals on Wheels, and people like Ruth Reichl, Bob Lape, and others who have been an integral part of the city’s food & restaurant scene so that you’re the smartest foodie at your next pop-up dinner? Take a walk to your favorite bookstore (or order here at a 30% discount if you don’t need it immediately–use code ADFLYK2 at https://global.oup.com/academic/product/savoring-gotham-9780199397020?cc=us&lang=en& ) for this delicious read. And, for five lucky www.insidefandb.com readers, we’ve got copies of this to give away. Be the first five people to email us with the answers to the following questions: How many entries in the book? How many authors contributed? Can you name one of the authors? Where is Barney Greengrass located? Whom does Citymeals on Wheels support/what do they do? Send your answers to: francinecohen@insidefandb.com and books will be on their way to you shortly. Best wishes for a delicious holiday season and a wonderful new year!